Arsenal suffered a major setback to their Premier League title chances on Tuesday night as they slipped to a 2-1 defeat at home against Watford. Goals from Younes Kaboul and Troy Deeney gave the visitors a two-goal cushion in the opening 13 minutes as the home side were left stunned. 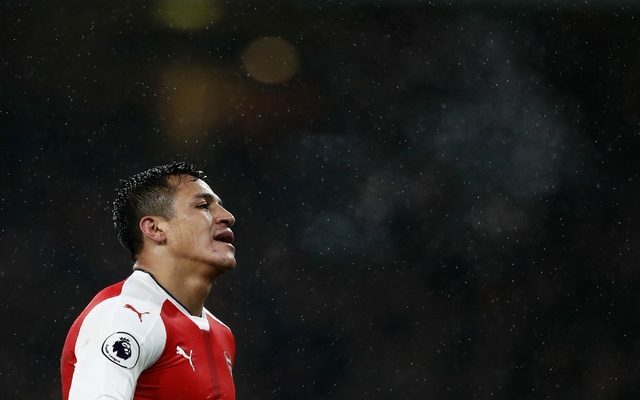 Despite an effort from Alex Iwobi early in the second half, it wasn’t enough to spark an Arsenal comeback as they suffered what could prove to be a really costly loss in the Premier League title race. It was Watford’s first league win over Arsenal in 29 years, and it’s one that they’ll savour and look to use to put together a run of results after struggling in recent weeks. As for Arsene Wenger and his players, they will have little time to ponder on this defeat as they travel to Stamford Bridge at the weekend to take on Chelsea with a defeat potentially ending their title bid entirely. The Gunners dominated possession, created more chances and had more shots on goal, but it meant little as they suffered defeat and now have to respond on Saturday with many likely to argue that it’s irrelevant as this proves that they aren’t capable of winning the title this season. Arsenal player ratings: Cech 6, Gabriel 5, Mustafi 5, Koscielny 6, Monreal 5, Coquelin 5, Ramsey 4, Iwobi 7, Ozil 6, Alexis 7, Giroud 5. Substitutes: Walcott 6, Oxlade-Chamberlain 6, Perez 6. Substitutes: Success 6, Doucoure 6, Okaka 5.